Every semester I give some advice on the final projects of one or two students at the Multimedia studies program of UOC, a virtual public University in Catalonia, Spain. This time I was lucky to work with Esteve Boix, who took my visualization class very seriously, and decided to specialize in that area. 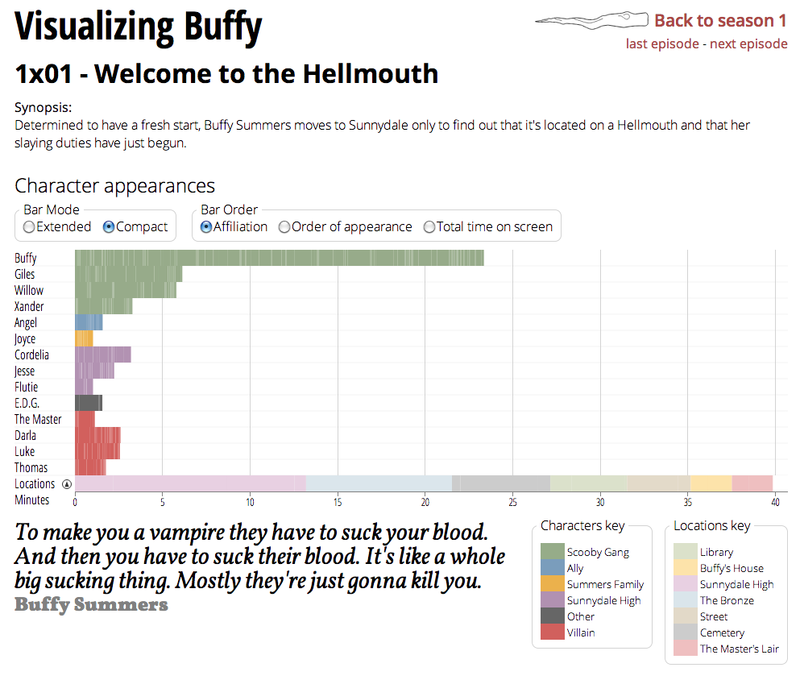 His project is titled Visualizing Buffy. 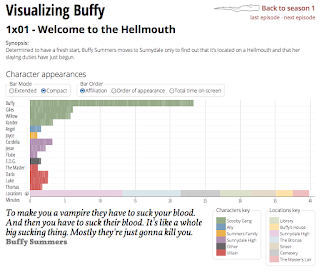 Even if you are not a fan of the show it is based on (I've never watched it myself) the interactive is fun to navigate and explore. 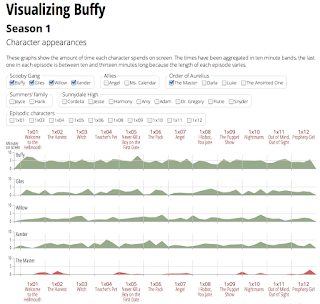 For the project, Esteve learned the basics of d3 (before than I did!) thanks to Scott Murray's tutorials. 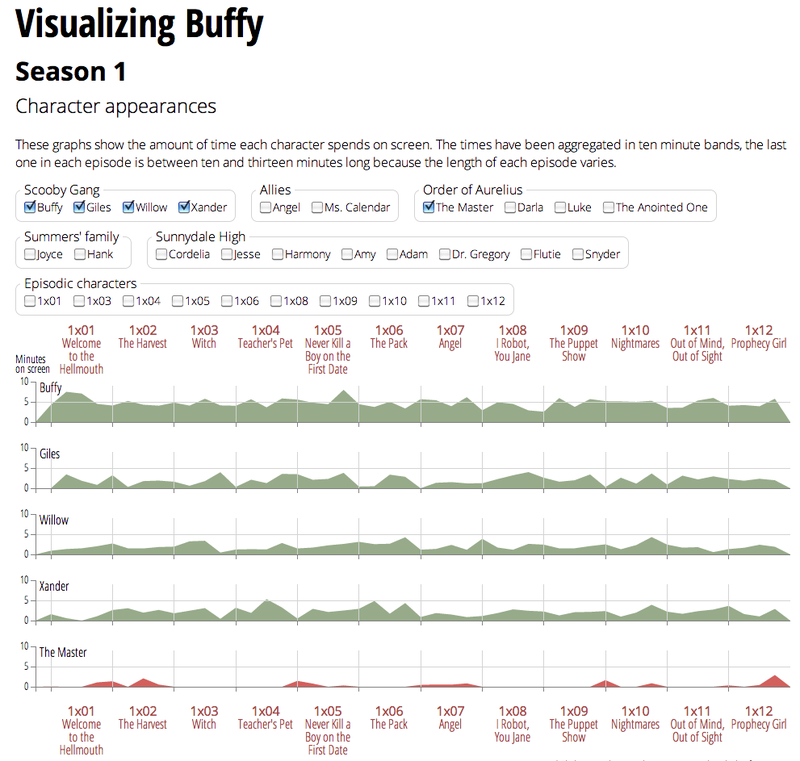 On a side note, I have started reading Scott's Interactive Visualization for the Web, and it is terrific. I'm always amazed at the creativity of many students. Here you have an older project, made by Pep Gassó. This one includes some nice 3D animations. 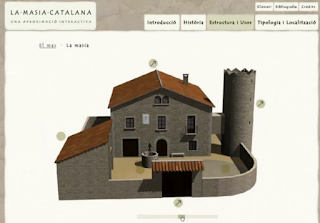 To access the interactive directly, click here.